Superior quality Beaver bulk vending machines; North American manufactured for over 50 years. Vends a variety of products from gum, candy and nuts to capsulated toys. Flat vending for stickers or tattoos. World renowned mechanical rotary coin mechanism accepts one, two, three or four coins for domestic and foreign currencies. 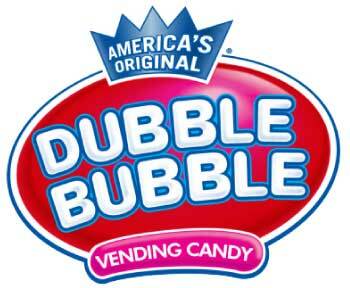 Concord Confections manufactures and distributes both Bulk and individually wrapped gumballs and dextrose candies under the nationally known brand names as Dubble Bubble, Cry Baby and Bleeps, to the Bulk Vending Industry. DSM Sales & Manufacturing has teamed up with Echaves AMC and are committed to the design and manufacture of high quality, interactive, and fun games and kinetic products. Our products are unlike the rest of the market. 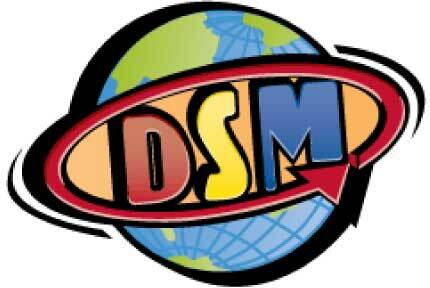 DSM offers something to operators that no other manufacturer does. FastCorp LLC is a privately held company which has quietly become the world leader in frozen vending machine sales and a pioneer of innovative vending technology. FastCorp was founded on a powerful idea – to make ice cream and frozen food vending as ubiquitous as snack foods and soda! We are making this happen through reliable, easy-to-use, and energy efficient equipment along with new approaches for product storage and distribution. Flatline Corporation is a leading supplier of Flat Vending and Capsuled merchandise to the Bulk Vending and Amusement industries. Founded in 1999, Flatline is best known for it’s creative, high quality, fast selling products. The company is committed to satisfying the expanding needs of the operators, and have recently added licensed merchandise from Disney, Universal Studios, Marvel, Nickelodeon, as well as complete Capsule lines for all types of automated redemption machines. Ford Gum & Machine Co.
Ford Gum & Machine Co. is a leading U.S. manufacturer of retail confectionery and gift products, private label gum and mints, and bulk vending confections and toys. We specialize in both sugar and sugar-free products. Explore our website to find out how Ford Gum can become your confectionery solution. Celebrating 100 Years. Gumball-Depot is the new home of OK Manufacturing! We are an American Manufacturer of Gumball Machines (including our famous Spiral Gumball Machine) Super Ball Machines (Bounce A Roo) and Arcade Games featuring Winner Every Time gameplay and Instant Prize Redemption (Gravity Hill, Tractor Time). We also supply Gumballs, Prize Kits, Plush, Superballs and more for all of the machines we produce. We are a wholesale distributor of amusement games, vending machines, ATMs, and jukeboxes serving the state of Wisconsin and the upper of MI since 1962. We provide sales of new and used equipment with parts and service support. We display our inventory in our showroom and do most of the service work on site. We support our state associations like WAMO and WAMC and national associations like AMOA. Although the majority of our business to directed to licensed operating companies or vendors, we do sell to private home customers. We handle the major lines thoughout our industry. We accept visa and mastercard. products to the industry throughout the United States and internationally. The company was started over ten years ago by father and son, Kevin and Shawn Dumphy, and later joined by sons Josh and Eli. 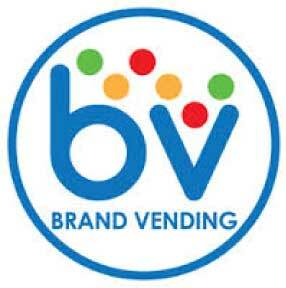 www.ssmvending.com or call 877-213-0500. Vending Supply has been in business over 26 years and all of our products are made in the USA! We are the world’s largest manufacturer of temporary tattoos and stickers prepared for flat vending machines. We are proud to feature licensed designs from Disney, Nickelodeon, Nick Jr. and Marvel, as well as our own designs! These include our new PrismFoil tattoos, Full Glitter (Sugar), Glitter enhanced, Neon and Glow-in-the-dark series. Every box contains 300 tattoos/stickers that are collated & inserted into high-quality jackets for easy dispensing in flat vending machines. Also included in each box is one (1) free eye-catching display card. To see all of our products, place an order or to request a catalog, go to www.vendingsupply.com, or call us at 800-315-9849 to speak to a specialist.